As the weekend comes to a close, I find myself wishing we had one more day off! 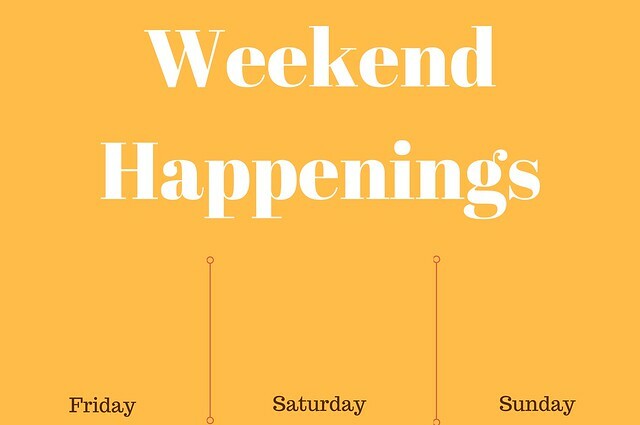 Can we just make three days weekends a regular thing?!? We had a busy weekend, but it didn't exactly turn out as expected. 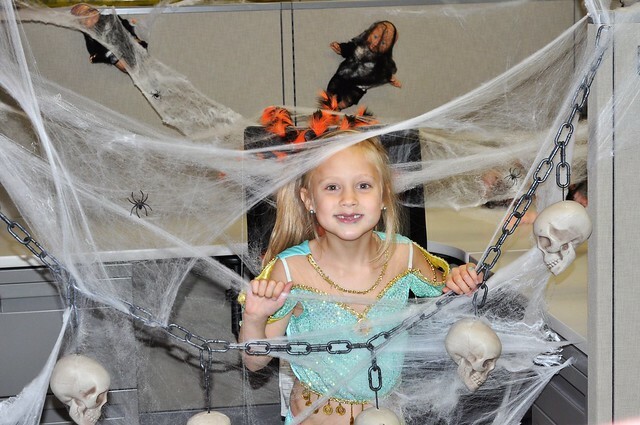 This weekend was supposed to be full of Halloween activities, on top of all the events that were already scheduled. A family emergency on Saturday changed everything. Now we're just exhausted mentally AND physically, and we were unable to check some things off of our Halloween list. But none of that matters. All that matters is the fact that everything is okay now. Friday is always my busiest day of the week, and this one was even busier than usual. On Friday morning, after Dylan, Lexie and Lily left for school, Liam and I went to my parent's house to have breakfast with them. I absolutely love the fact that my parents live nearby, and that we get to see them two or three times a week! 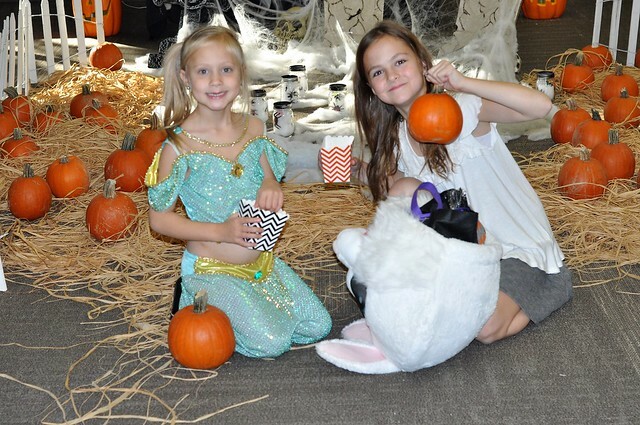 That afternoon, after conquering 4 loads of laundry, we went to Grant's office to take the kids trick or treating. 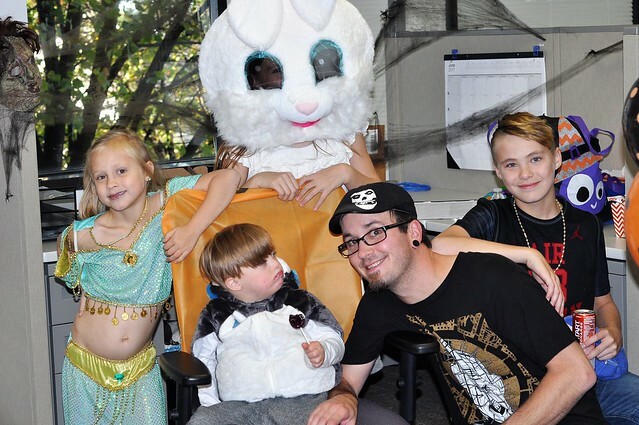 His company hosts such a fun Halloween event for kids, and they always get a ton of candy! This, of course, involved picking my kids up early from school, which is no easy feat, considering they are in three different schools. It was like a race to pick them up on time, and make the 45 minute trek to Grant's office. I have to say, life with 4 kids and all of their friends is ALWAYS amusing. It's extra awesome when we get stuck in construction traffic for 25 minutes. (Can you sense my sarcasm?) I need to start a Mom Taxi photo series sharing my view from the front seat! 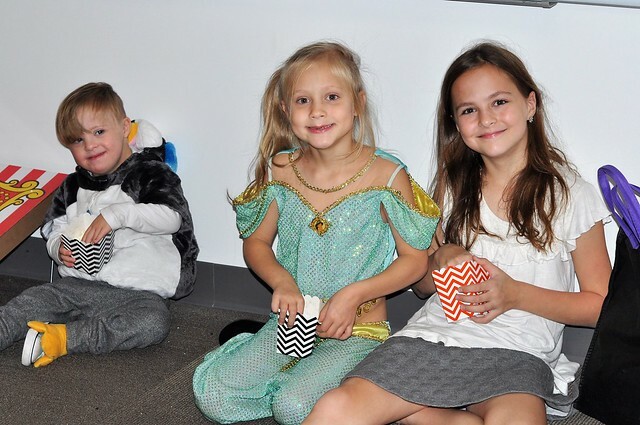 As always, my kids had a great time trick or treating at Grant's office, and seeing all of his coworkers! And just like last year, they got an unbelievable amount of candy. They don't even NEED to trick or treat on Halloween! We came back home, changed our clothes, then Lexie, Lily, Liam and I headed back up to my parent's house for our usual Friday night dinner! I had been awake since 5 AM, after getting just 4 hours of sleep, so I was exhausted! I came home and went straight to bed, and was asleep within a few minutes. Now that my parents are older, I live in fear of getting that phone call that something happened. On Saturday morning, shortly after 7:15 AM, I received that phone call. As soon as I realized the phone was ringing while it wasn't even completely light outside, I knew something was wrong. Sure enough, my mom had collapsed and started shaking while having coffee with my sister. My dad called while she was in the ambulance on the way to the hospital. The entire morning was a whirlwind, and all of our plans were put on hold. Grant's mom came over around 10 AM so Grant and I could head to the hospital. My mom had been admitted, and had already gone through quite a few tests by the time we showed up. I was a wreck and wasn't sure what to expect, but I didn't expect to see her sitting up and laughing with the doctor. Other than a small blip on her EKG, nothing abnormal showed up in her lab work or tests. They decided to keep her for observation and repeat the EKG the following day. She was in good spirits and seemed perfectly fine! We stayed until she was taken away for an echocardiogram. After our stressful, emotional morning, we decided to treat ourselves to Starbucks before heading home. By that point, it was chilly and raining hard, so we had to skip our annual trip to the pumpkin patch. This was the first year we missed, but it didn't sound like much fun in that weather, plus the hayrides would probably be shut down. 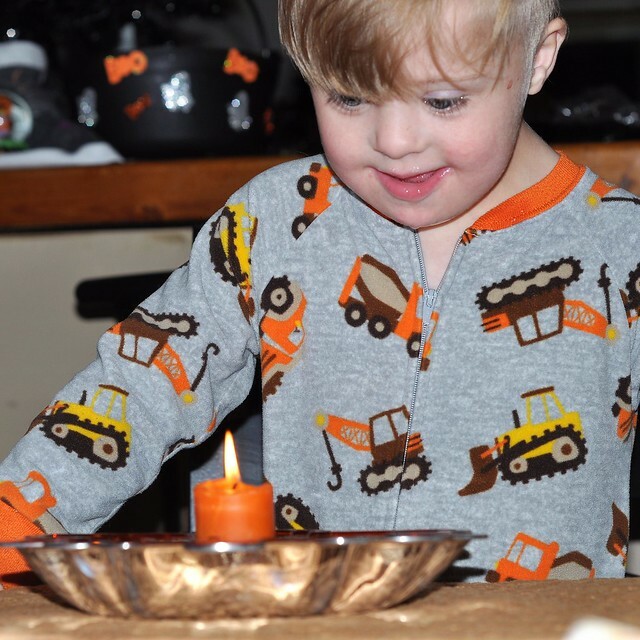 We relaxed at home until it was time to take Dylan to a Halloween party. After I dropped him off, we got some work done around the house, then the rest of us headed to our friends' son's birthday party. We ended up having a fun night with our "framily!" I didn't even think to take a single picture! We woke up to another cold, rainy day. 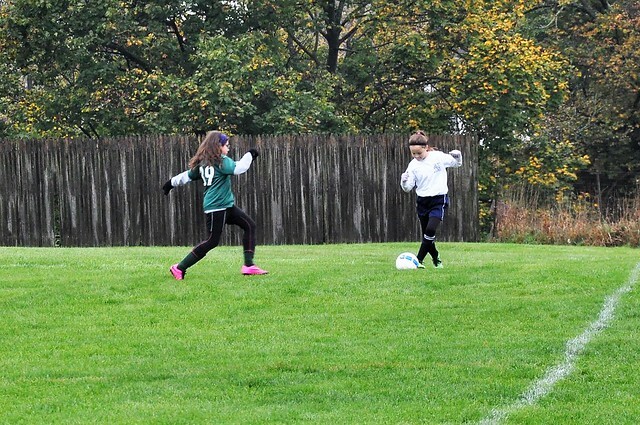 Lexie's last soccer game of the Fall season was today. Other than one 92 degree game day, the weather has been warm and sunny all season, so we definitely got lucky! 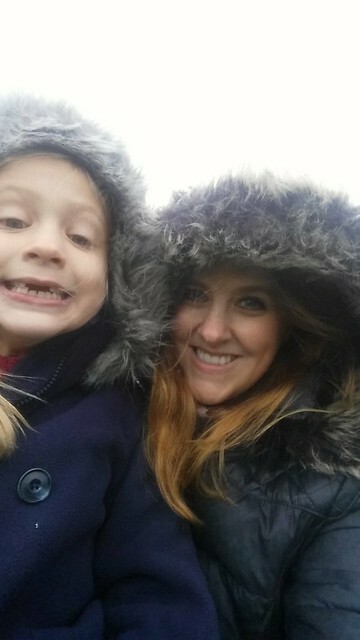 Since the weather was so miserable, and Liam doesn't handle cold weather well, we just took Lily with us to Lexie's game. It was FREEZING! I forgot to pack gloves in Lexie's soccer bag, so thank goodness I had some in my winter coat pocket! 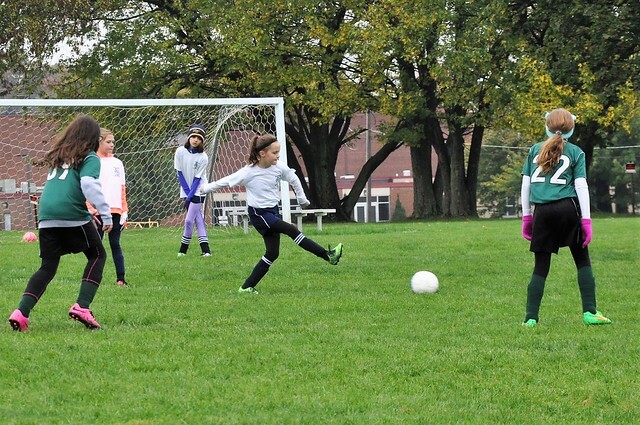 This was Lexie's first season ever of soccer, and it happened to be on a travel league. Despite being the only girl who hadn't played soccer before, Lexie did well. 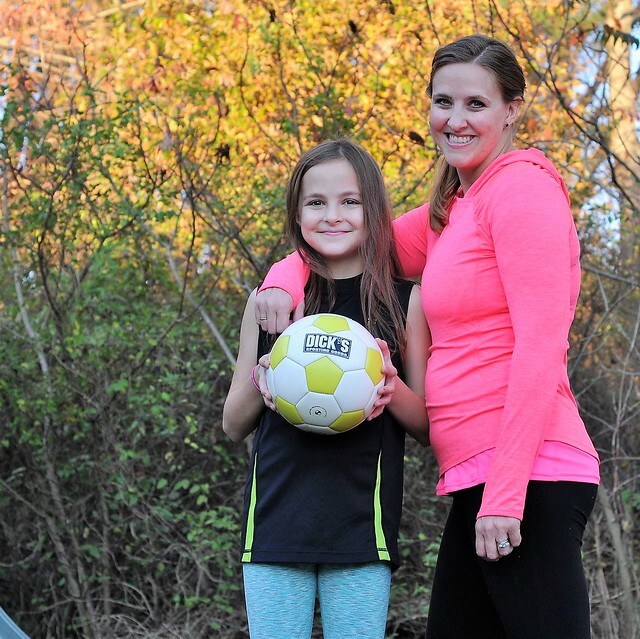 Her skills improved with each game, and she became more confident. 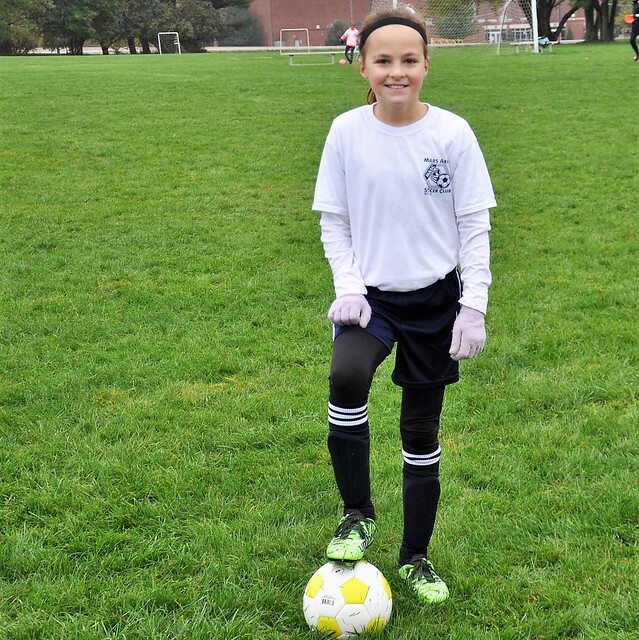 She loves soccer and she's looking forward to playing again in the Spring! After the game, I took Lexie to her end of season pizza party. They originally planned to go mini golfing and get ice cream after the game, but the weather ruined those plans! Thankfully, they seemed perfectly content to warm up in the pizza place, and they devoured 3 pizzas in just a few minutes! After the party, we headed home. I had a bunch of stuff to get done at home, and I was supposed to go grocery shopping, but I had no urge to go back out in the cold rain. Instead, I stayed home with the rest of my family. We had dinner, and we're currently watching the Steelers game! The weekend ended with good news! My mom was discharged from the hospital, and was able to go home. She has to wear a monitor for 30 days, but hopefully there won't be any more episodes. Even though many of our plans were altered from this unexpected event, a good health report is all that matters! 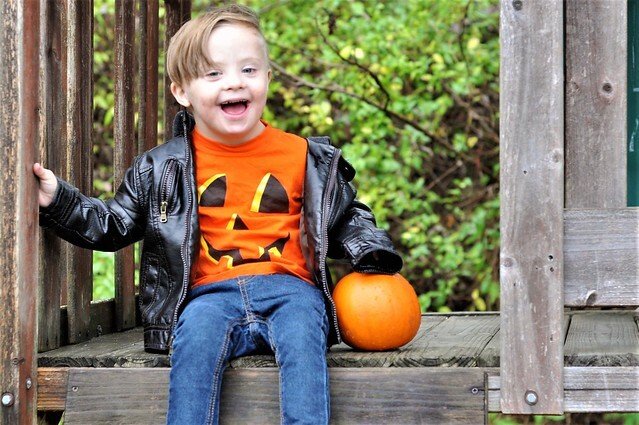 There's always next year for the pumpkin patch! I'm glad your mom is ok! Oh goodness, I'm so sorry to hear about your mom. I'm so glad that she's okay, though. Prayers that she doesn't have any more episodes! 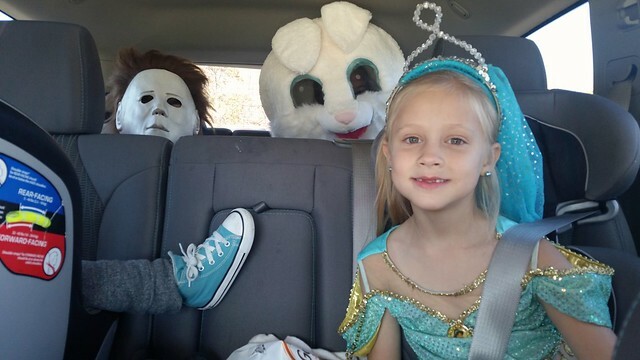 The kids look cute in their costumes. So glad your mom is okay, and praying she will continue to be. What an eventful family weekend! I am glad to hear your mom is doing well. And as I was wishing for an extended weekend as well, we got hit with so much rain complete with flooding, power outages, and all sorts of other things, that school was canceled on Monday...so we got that extended weekend after all!